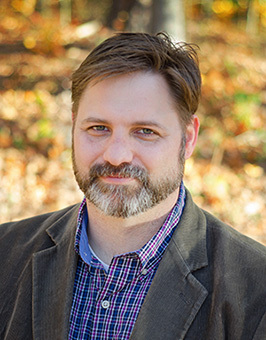 We are excited to share that Brandon Wason, Curator of Archives and Manuscripts at Pitts Theology Library, Emory University, has been named Archivist of the Society of Biblical Literature (SBL). The SBL Council unanimously appointed Brandon at their October 2018 meeting. Pitts Theology Library acquired the archives of the Society of Biblical Literature (SBL) in early 2018, establishing them as SBL’s official institutional repository. The archives at the time included 445 document boxes, 2,345 volumes of books, journals, and meeting program books, administrative records, committee minutes, correspondence and publications, including books published by SBL as well as the Society’s quarterly publication, the Journal of Biblical Literature. The archives will be augmented annually as the society’s history continues to grow. In February, Brandon began work on providing access and digitizing these research materials. Brandon holds a BA in classics (California State University), MTS (Emory University), and PhD in New Testament (Emory University). His background in web programming and work in libraries at Emory University and Columbia Theological Seminary will be assets to his new position as Archivist. We would like to extend our congratulations to Brandon and the entire Pitts Theology Library staff and invite other members of ATLA to share their thoughts in the comments below. Read the full report in the 2018 SBL Society Report.